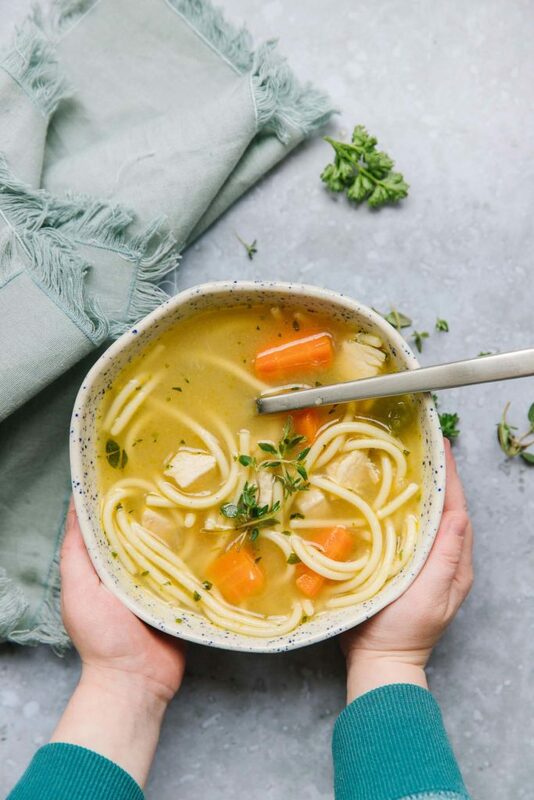 Tender chicken, fresh vegetables and delicious noodles; this the best Homemade Chicken Noodle Soup Freezer Meal recipe! 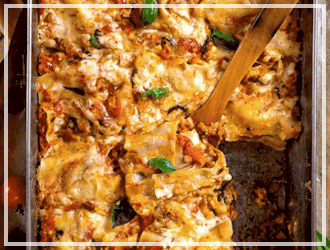 Not only is it hearty and comforting, it’s ready in under an hour. 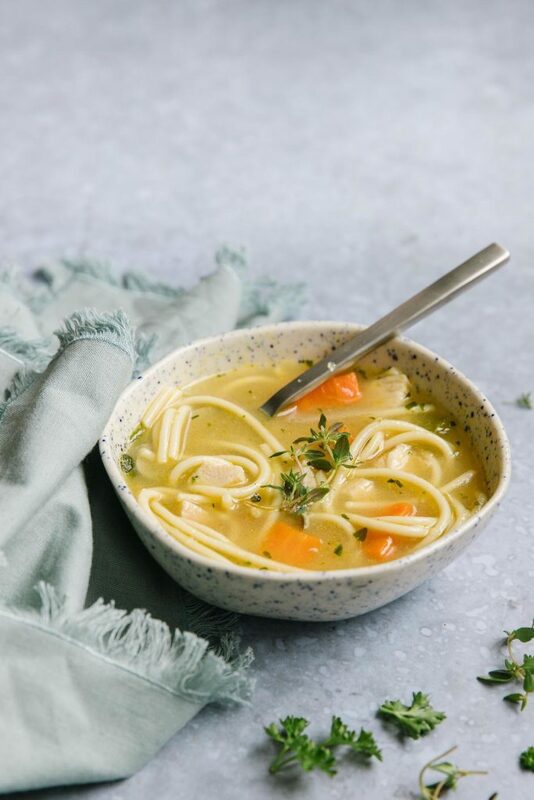 Is there anything more comforting than a big bowl of chicken noodle soup? There’s just something about this meal that brings you right back to your childhood. However, my mom’s homemade chicken noodle soup recipe took hours to make and who has time for that? Not me! 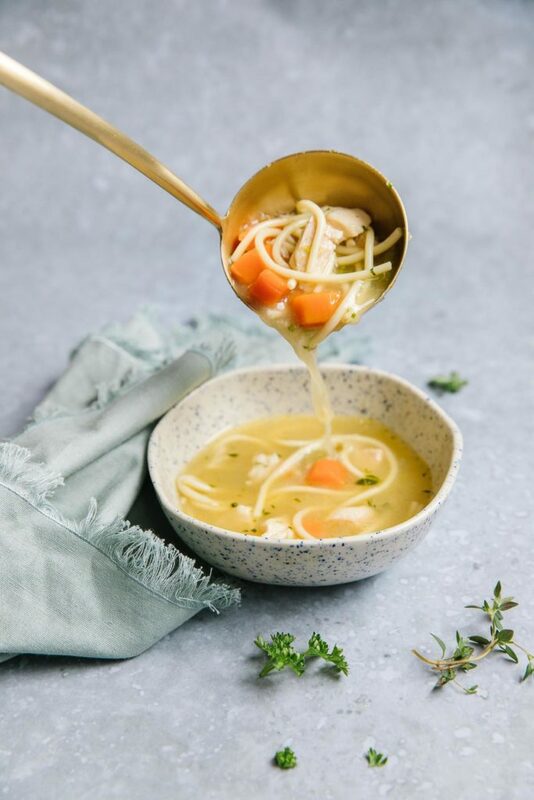 My recipe is easy, ready in under an hour and has all the comforting qualities you want in a classic chicken noodle soup. 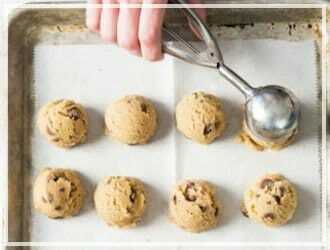 And you can make it ahead of time and freeze it! Perfect for all of us busy moms! 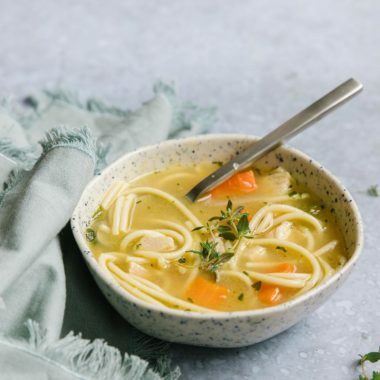 Most people think of chicken noodle soup as “sick food” – something you eat when you’re not feeling good. 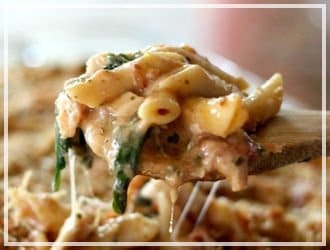 And don’t get me wrong, this chicken noodle soup freezer meal is AMAZING for that, but it’s also fabulous on a night when you’re looking for some good old comfort food. 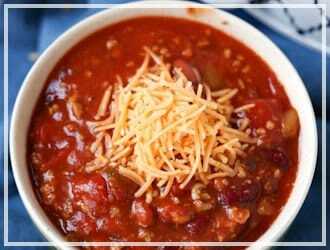 I love making this soup on busy weeknights because it is SO FAST to warm up! The chicken noodle soup seasoning is so rich, so complex, that it warms you from the inside out. It’s also loaded with veggies and tender chicken, making me feel like a good mom even when I am in a hurry. Pair this easy chicken noodle soup with a yummy green salad and delicious homemade rolls and dinner is served! Yep! This soup contains fresh veggies, lean protein and a simple homemade chicken broth. It’s a great way to kick start your immune system when you are feeling under the weather. It’s kind of a miracle worker. And if nothing else, this is one of those meals that just makes you feel good after you eat it! WHAT KIND OF NOODLES DO YOU USE FOR CHICKEN NOODLE SOUP? This recipe calls for spaghetti noodles but, really, any pasta will do. I love to experiment with the different kinds of pasta and sometimes it just ends up with what is in my pantry. I would say that rotini is a great option, too! Definitely!! That’s what makes this chicken noodle soup freezer meal one of my favorite recipes! When I make it, I like to double the recipe and stash half in the freezer for a rainy day or for the next cold or flu that hits my house. 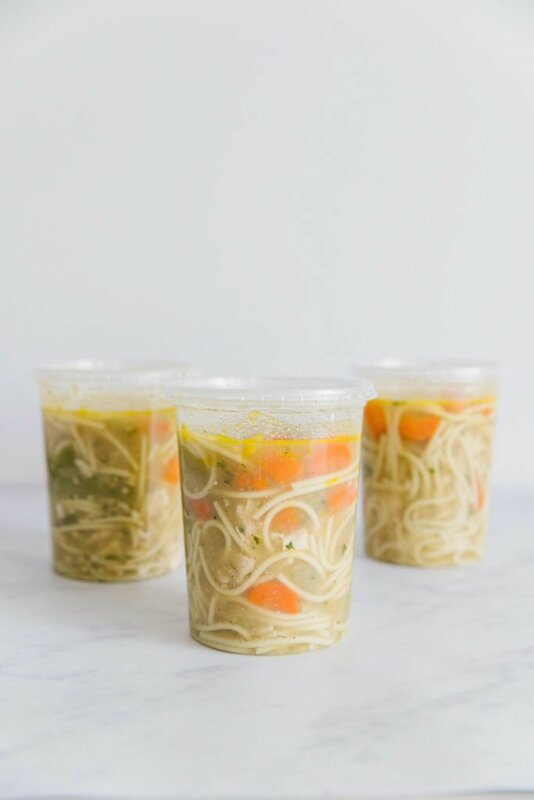 You can use freezer bags but I am not gonna lie – I love how these containers look in my freezer all filled with chicken soup! There is nothing warmer or more comforting than this soup – any time of the year. 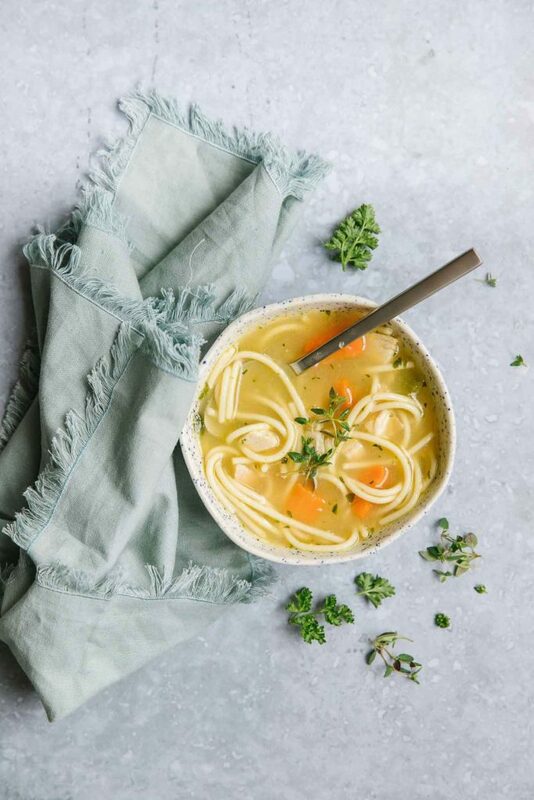 This chicken noodle soup freezer meal has been my go-to for friends who were sick or friends with new babies and it’s ALWAYS a hit! 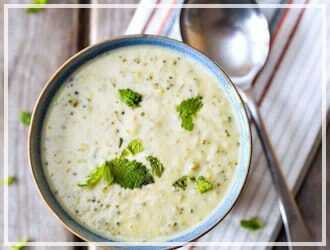 The flavors of this classic delicious soup just can’t be beat. 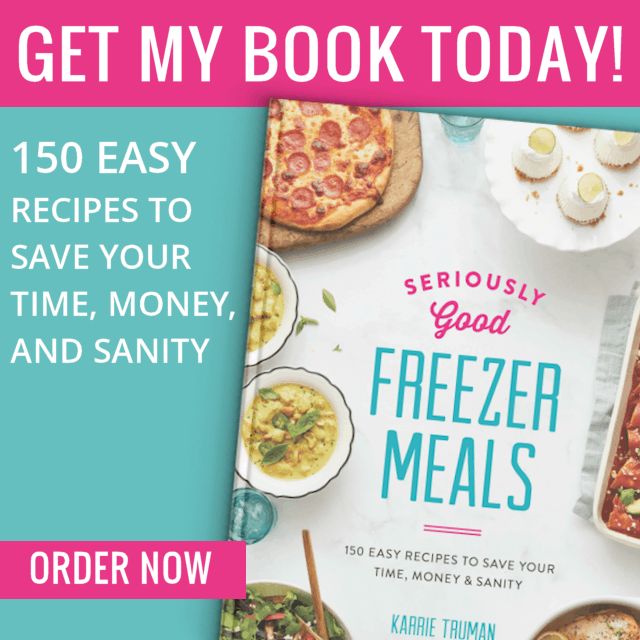 Tender chicken, fresh vegetables and delicious noodles; this the best Homemade Chicken Noodle Soup Freezer Meal recipe! In a large stockpot, melt olive oil over medium-high heat. Add carrots, celery and onion; cook, stirring, until carrots and celery are tender, about 4 minutes. Add garlic and cook, stirring, for about 1 minute, until fragrant. Add chicken broth, chicken breast pieces, parsley and thyme. Continue to cook, stirring often, until it comes to a boil, then reduce heat and simmer 5 minutes. Add pasta and cook 7-8 minutes or until al dente. Season soup with salt and pepper to taste. Serve. Add pasta and cook for 3-4 minutes or until pasta is starting to get soft, but not fully cooked. Remove pot from heat and allow to cool completely. Season to taste with salt and pepper. 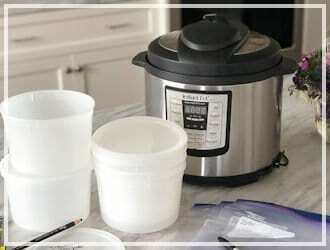 Transfer soup to freezer safe containers or freezer bags. 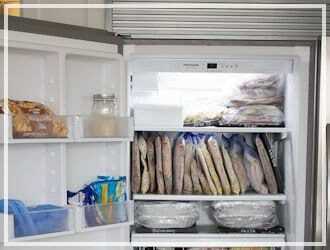 Seal bag, removing as much air as possible and freeze or leave 1 inch head space in container, seal with lid and freeze. 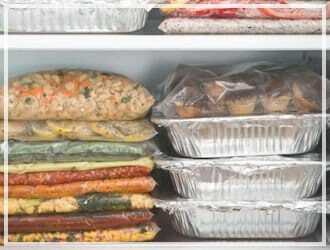 Place bag or container in the refrigerator for at least 12 hours or up to 24 hours to thaw. Pour bag contents into a large stockpot. Stirring often, warm over medium heat until heated through and steaming but not boiling. (Add additional chicken broth if needed.) Serve. To reheat in microwave place in a microwave safe container and cook on high for 1-2 minutes or until heated through.